Andromeda. The closest to our galaxy and star of Star Trek Online to have a Dyson sphere where Iconians moved to rebuild its fleet. Galaxy called M31 for friends. It really is very similar to our own galaxy in composition and form. We’re going to have a similar number of stars (by eye), about 300 billion. And about 2.5 million light years away (come here next, in terms of galaxies). 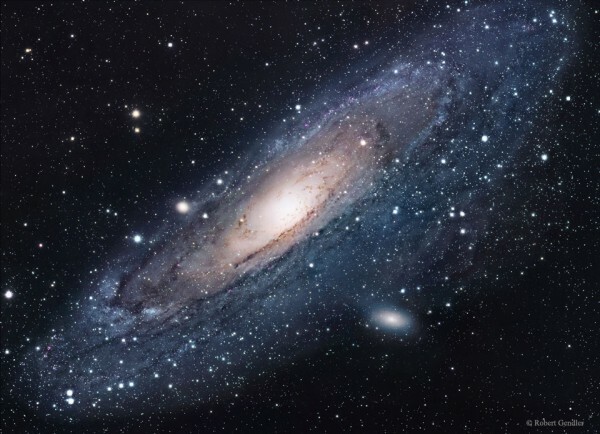 The mass of our galaxy is around 78% that of Andromeda, then our dwarf galaxy is a tad more. Amazingly little is known except what we see and it is very little. Only it has certainty that in a few billion years our galaxy collided with her. And how little we know is what we see, indicate that it is visible to the naked eye (or better with binoculars). If you get bored a little above the constellation of Pisces and is spiral-shaped like our own.